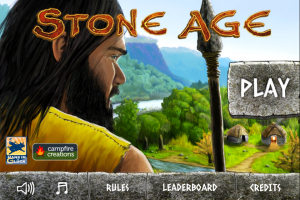 It’s been a long time since I reviewed an iPhone game. I play plenty of them but, with limited time to write reviews, I usually choose to focus on writing about physical board games. Cahoots is a trick-taking game with a bit of a difference. 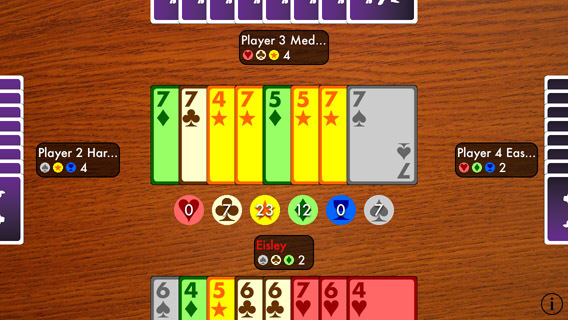 Four players are each dealt cards: 6 suits (colours) and numbered between 4 and 8 with some duplication. (Suits and colours mean the same thing so I’ll just use the word colour from now.) 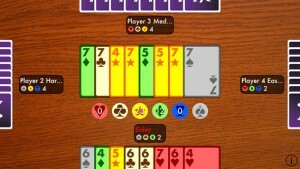 Each round, the four players take turns playing a card and do this twice until 8 cards have been played. The colour with the highest total wins the round. 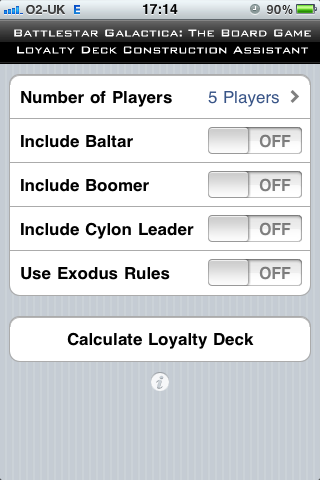 Players are each allocated 3 colours at the start of the game – I’ll call these scoring colours. 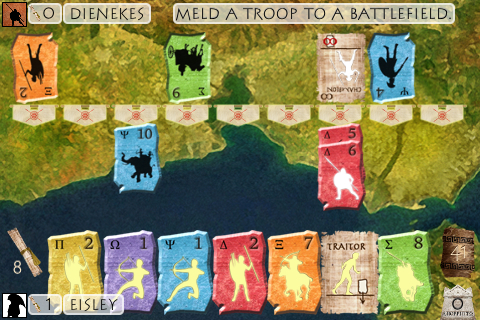 As there are only 6 colours in total in the deck, each player shares each of their colours with a different opponent. 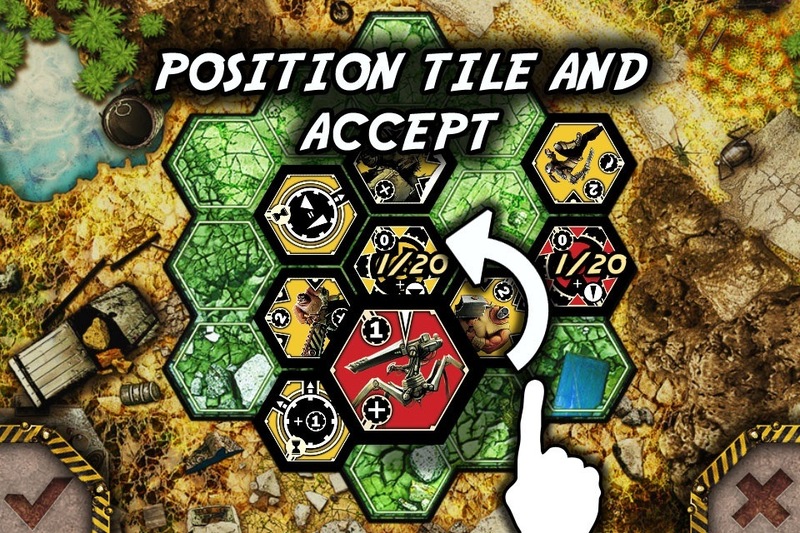 The guys creating RoboArena – an iPhone and iPad app they’re creating via Kickstarter which is a mix of RoboRally and turn-based X-COM – got in touch with me recently to tell me about their project. Looks very interesting. Check out their Kickstarter page and lend your support if you want to get involved. 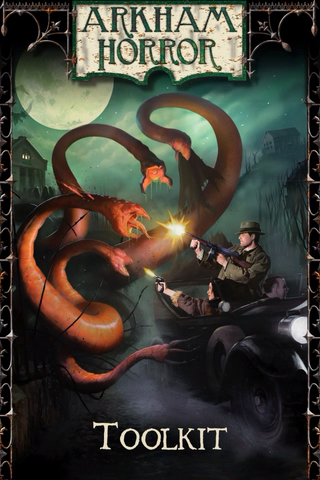 I was very excited when I saw there was an Arkham Horror Toolkit app for the iPhone. 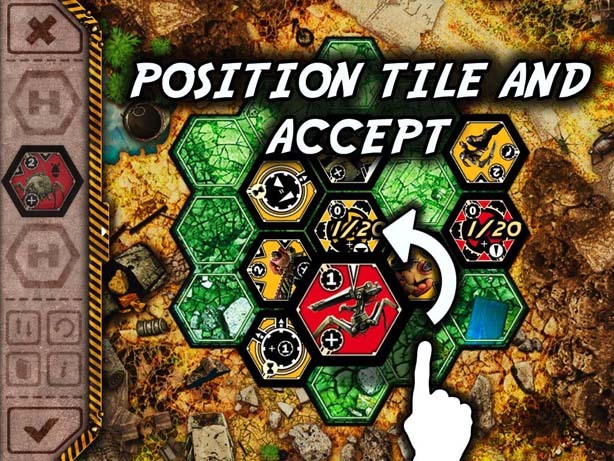 I’m a big fan of Arkham Horror* – I wasn’t expecting to play the game in an app but I thought it would be something interesting. Unfortunately, I was wrong. Dice roller – As it sounds, this visually rolls 3-D dice with some physics. Text at the top states how many successes you have rolled and you can set it to count normal successes, cursed and blessed. Investigators -You can select an investigator, see all the info that’s on their character sheets and track all their stats. 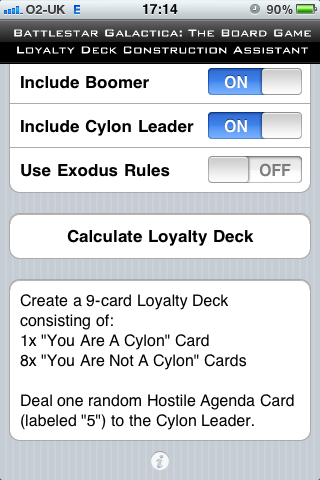 Location deck – Pick a map location (or Other World) and you are shown the text of an encounter. Maps – Pick a board and view it with zoom in and out functions.